The big advantage of a well-diversified portfolio is reduced volatility. If that diversification leads to higher overall returns, better still. Unfortunately, most assets are more highly correlated than you might imagine. For instance, if interest rates tick up, stocks generally go down. But then so do bonds. And if U.S. stocks fall hard, history shows that overseas markets generally crumble as well. However, there is one little-owned asset class that offers genuine diversification and a potentially big return-kicker as well: frontier markets. Frontier markets are a subset of emerging markets: smaller countries that haven't even developed into emerging markets yet. A few examples are Bahrain, Bangladesh, Estonia, Jordan, Kenya, Kuwait, Malta, Qatar, Romania, Tunisia and Vietnam. Why would anyone invest in these far-flung places? Let's start with the fact that frontier countries account for 21.6% of the world's population, 6% of world GDP, and only 3.1% of world market capitalization. These countries represent what Brazil, Russia, India and China did 20 or 25 years ago. Frontier countries often experience much-faster economic growth than developed (or even emerging) markets. Both governments and consumers in these regions are less indebted. And valuations are among the cheapest on Earth. Mark Mobius, chief of emerging markets for the Franklin Templeton Fund Group, says frontier markets remain "the most exciting investment opportunities for global equity investors." Undoubtedly true. However, excitement can be a double-edged sword. The heightened risks of emerging markets are magnified in developing markets. For starters, there is a lack of transparency. Financial regulations are slighter. Corruption can be endemic. And financial reports may be done in ways that aren't considered "generally accepted accounting practices." Then there is a lack of liquidity. Few companies are big enough or heavily enough traded to attract or withstand high volume. When times get tough, bids may not even materialize. This lack of transparency and liquidity, of course, leads to far greater-than-average volatility. If you trade frontier stocks, you may find yourself peeking through your fingers to look at your portfolio. A year ago, I led an Oxford Club investment expedition to Cambodia, Laos and Vietnam. Only Vietnam was a potential frontier recommendation, but I came home feeling that I didn't find any companies attractive enough to merit the risk. However, I do think there is a place for frontier markets - maybe 2% or 3% - in a diversified global equity portfolio. The question is what is prudent enough to feel like an investment instead of a gamble? 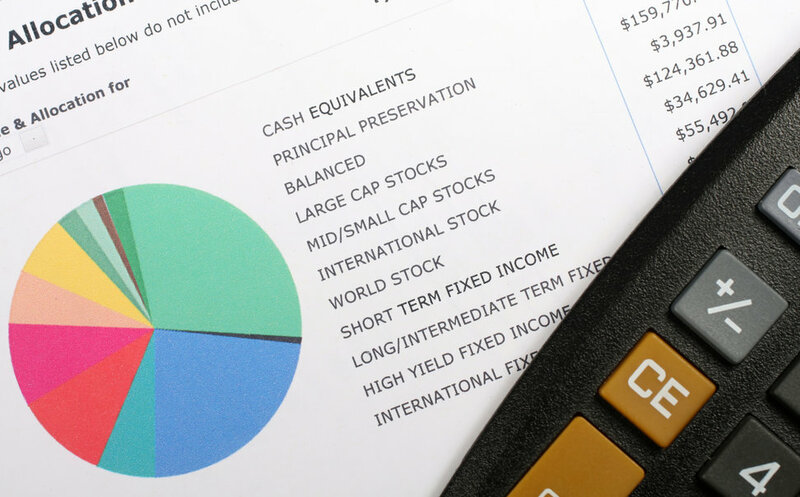 There are a number of mutual funds to consider, including Templeton Frontier Markets (Nasdaq: TFMAX), Wasatch Frontier Emerging Small Countries (Nasdaq: WAFMX) and Morgan Stanley Frontier Emerging Markets (Nasdaq: MFMPX). But I think a better choice is a relatively new ETF: iShares MSCI Frontier 100 (NYSE: FM). It offers excellent diversification. (I'm willing to bet you don't currently own shares of National Bank of Kuwait, Nigerian Breweries or Industries Qatar.) The 100 holdings sport an average P/E of less than 13. Expenses are only 0.79%, by far the cheapest frontier market alternative. And you'll even collect a 1.1% dividend here. The fund is up 4% this year while most emerging markets are down. And I do think frontier markets offer long-term potential that make them worth the risk. So here are two suggestions. Buy a few shares for yourself (or your kids and grandkids) with the idea of holding the fund more than five years, a period that should generate high enough returns to compensate for the greater volatility. Or... keep the Frontier 100 ETF on your watch list. If you are an investor with a genuine contrarian streak, wait and pick up these shares after they go bump in the night. And don't worry. They will. If you plan to trade frontier markets more aggressively than Alex suggests, you may find yourself seeking assistance from the two longest-held companies in the Oxford Trading Portfolio: Philip Morris (NYSE: PM) and spirits-maker Diageo PLC (NYSE: DEO). We hope you'll leave the former's products in the bottom drawer. But as for the latter? Go ahead and pour yourself one. And consider grabbing a few shares while you're at it. The market's rocky start has knocked a few points off of its highs but Diageo, which Alex picked up in February 2009, continues to be a top performer, delivering gains of 173%. "Based in London, Diageo - pronounced (Dee-AH-Gee-O) - is the world's leading spirits company. It operates in more than 180 countries and offers a wide variety of famous international brands, including Smirnoff, Ciroc and Ketel One vodka, Johnnie Walker and J&B scotch, Guinness stout, Baileys Original Irish Cream, Jose Cuervo tequila, Captain Morgan rum, Tanqueray gin, and Crown Royal Canadian whiskey, among dozens of others. "Diageo owns 10 of the top 20 spirits brands in the United States where it holds a 23% market share, twice its nearest U.S. rival. It has more top-20 liquor brands than the next five competitors combined. It also has more than $18 billion in worldwide revenues, 31% operating margins and $3.3 billion in annual cash flow. "While business remains strong in the developed world, future growth will come from emerging markets. Last year, Diageo made a historic move into the large Indian spirits market with its acquisition of a stake in United Spirits Ltd. It has extended its involvement in Sichuan Shuijingfang in China and has put down roots in other businesses it acquired in Brazil, Ethiopia, Vietnam and Turkey. "Moreover, demographics favor its business. The number of consumers reaching legal drinking age has been on a steady upswing since 1999. And while the over-21 crowd is expanding, so is business with baby boomers. Studies show the over-55 group is increasingly reaching for spirits, not beer. "And in the developing world, the population is growing considerably faster. Fifty years ago, approximately two-thirds of the world's population was based in less-developed countries. Today it is more than 80%. Their incomes are increasing, as well. Millions more can now afford to enjoy a Guinness after work, or a scotch and water. "Given Diageo's long-term double-digit growth rate and new moves into markets in Africa, Eastern Europe, Latin America and Asia, this is a recession-proof business that should hold up well... even if the economy goes back 'on the rocks.'"